We all know that in order to grow our businesses, we need to grow our customer base. But finding the time to round up new customers can be a bit of a challenge. 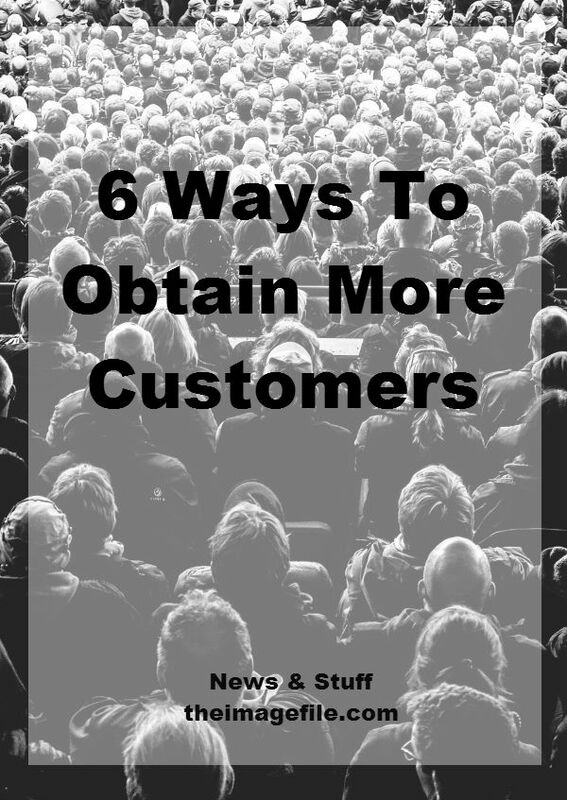 What you need is a strategy that helps attract more customers without a load more work. 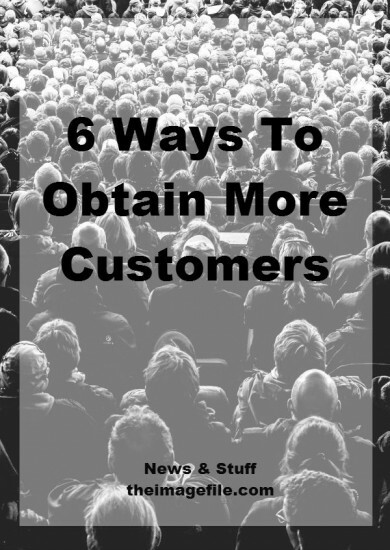 Here are six easy ways to help boost your customer base! Regardless of how long you have been in business, you should have an understanding of the fears, hopes, dreams and aspirations of your current clients. This information is a gold mine when you want to expand your customer base because you can pre-empt the concerns and challenges of your prospective clients. By pre-empting their questions and arguments you can do a great job of communicating the benefits of why they will want your services and products. I know I mention this a lot but social media and blogging can be second to none when trying to boost your client base. Unlike your website it gives you the chance to show your personality, share what’s been happening in your business and provides another avenue for potential clients to find you. However, make sure to be consistent when it comes to social media channels and blogging. Neither are of any use to you if you only update people twice a year. The more consistent you are online, the more consistent your customers will be with checking in. Another thing to take into account is that there is no point posting content that has no value. It’s a bit like the saying “if you haven’t got anything nice to say, say nothing” – “if you haven’t got anything worth posting, don’t post”. Exposing your business to forums and groups is a great way of attracting new customers. What type of forum or group should I join though, I hear you ask? Here’s a great example of photographer-forum collaboration. Let’s say you are a family portrait photographer. You are aiming to latch on to forums with three main qualities; children, parenting and young families e.g Mumsnet, Baby Names etc. In theory anyone that is a member of these forums are interested in those three qualities. This makes them the poster child of a perfect potential client. They already care! That’s half your work done for you. Imagine your business like a party. The more you network the more people you get to meet, and the more people you get to meet the more chance you have of building substantial relationships. If you never put yourself out there the furthest your business is going to reach are your current customers. Sure, these customers might recommend you to some of their friends however, we all only know so many people. So the more you can put yourself and your business out there, whether that be via events, social media or partnerships, the better. A great way of building your customer base is to team up with a complimentary company. This is often recommended to start-up businesses as it gets you in front of a lot of people in a short space of time. One way of creating a partnership is by contacting a company and offering one of your services or products at a discounted rate or as a giveaway prize specifically for their clients. For example if you are a wedding photographer you could offer a free engagement shoot or provide a promo code to the first 20 customers that book a specific service. Everybody loves a bargain so why not offer a steal of a deal? This could be aimed at boosting your customer base as well as creating repeat business from your past clients. Equally, why not offer something for free. It doesn’t have to be big, it could be anything from a free print to a downloadable engagement session guide with ideas and tips on how to make their day with you unique and personal. There are so many ways that you can increase your customer base and get yourself out there, you just need to think outside the box. If you’re stuck for ideas have a quick look at what other companies are offering, even if their not in a similar industry. Perhaps you can adapt some of their ideas or offer a similar bargain? How have you grown your customer base over the years? Is there a method that has particularly worked for you?